PDM offers both expert care and affordable prices. Cost and quality: It’s a give and take. Right? 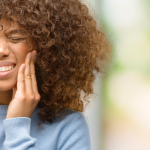 Anyone who has experienced the stress and headaches of pursuing a reasonably priced pediatric dentist likely knows that–all too often–this is the case. 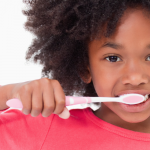 It’s a difficult question to face: is it worth compromising the quality of your child’s dental care for the sake of affordability? There’s no right answer to this question. 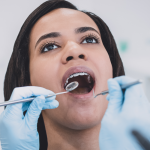 But fortunately, there doesn’t need to be–because the dentists at Penn understand that the need for access to quality pediatric care is essential and are committed to providing superior-grade dental care at reasonable, accessible rates. As one of the few top-quality low cost pediatric dentist offices in the region, Penn Dental Medicine is proud to help families get the superior-grade care their kids need. Penn Dental Medicine’s status as a low cost pediatric dentist sets it apart from other top-rated dentist offices, most of which feature rates that prevent broad access to a wide range of families. But what sets it apart in terms of quality from other low cost pediatric dentists? The exceptional quality of pediatric care at Penn Dental Medicine can be broken down into three key aspects. Student Doctors: Because Penn Dental Medicine is a training clinic, your child will be treated by student doctors training at Penn. These Penn residents and predoctoral students are overseen by top dental professionals and are among the best and brightest of the next generation of dentists. The double purpose of training students and treating patients enables Penn Dental Medicine’s low costs. Patient-Specific Care: Because young children may feel uncomfortable at the dentist’s office, we allow them to sit on parents’ laps during their first examinations. Based on the results of the examination, we will develop a personalized plan of dental care for your child and design a home oral health program (including brushing, flossing, diet, fluoride application, and dental visits). Penn Dental Medicine’s association with University of Pennsylvania means access to the best, most advanced equipment, technology, and methods available. This enables our dentists to offer such treatments and provisions as cleanings, topical fluoride applications, screenings, sealants, fillings, tooth extractions, and orthodontics. 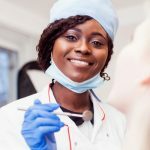 At Penn Dental Medicine, a low cost pediatric dentist doesn’t mean a downgrade in care–and superior quality doesn’t mean astronomical rates (as it all too often does among pediatric dentists). To learn more about our pediatric dental care and rates or to schedule an examination for your child, contact Penn Dental Medicine today.